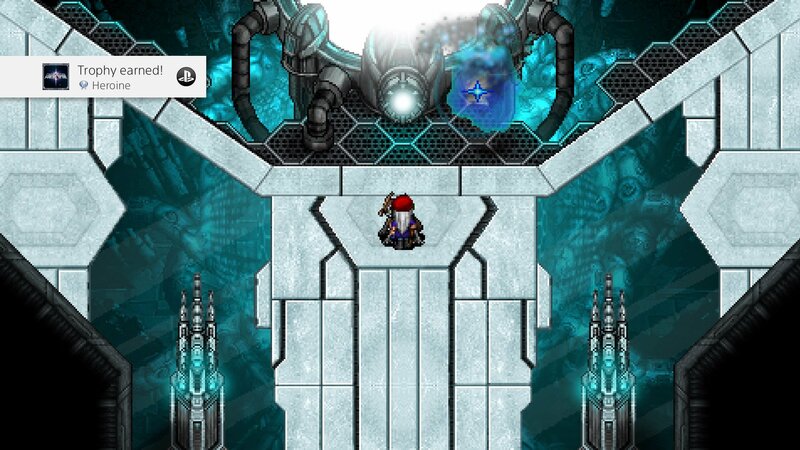 I beat Cosmic Star Heroine, thus earning my 16th Platinum! Such a fun game! Turns out, I was playing on Agent difficulty, which is Normal. I was just minding my own business, I beat Prime Evil to complete Psybe’s side quest and I marked off the trophy on my list and realized I never earned the trophy. I looked it up and turns out, some trophies are glitched, and most of them are the boss battles. So I panicked as just three hours earlier, I had earned the Recruit 20 Crew Members gold trophy, which took some time. So I was debating about regathering those folks or not when I realized the PS4 had backed up my save file when I turned it prior to eating dinner. So all I had to do was refight the arcade boss for Dave’s side quest and get back to Prime Evil. I was tempted not to redo the arcade but that’s how we got Dave’s best weapon and that guy is a beast once he gets that weapon. While reading about the glitches and the advice to hard save before each boss fight, I also received the advice to lower the difficulty to Tourism, the Easy mode. What this does is knock off a quarter of the health of the opponents as well as weakens them so they don’t hit the team for too much damage. So I still played the same, the fights were just faster, which was nice and I had made up that hour of playtime in 20 minutes. I really really enjoying my team of Alyssa, Lauren, Psybe, and Dave – such a great combination of characters and abilities. I’ll put Chahn in the upper tier as well but we can only have four person teams. I’ll probably rank Sue even higher than Chahn. Lita the Vampire of the Mines’ trophy also didn’t pop for me, but I was prepared for that one. All of the other trophies popped without a problem. I still wished we could have beaten the main game boss and then had the post-game option to take on the optional bosses and quests, instead of being forced to do it all beforehand. I get the decision though and it makes sense with where all of the characters end up after the story is over but it would have still been nice to have. If you have an itch for a Chrono Trigger / Old School SNES RPG game, this should satisfy that scratch. I did like how the game forces us to play with all of the characters at least once. With 11 playable characters, there is bound to be a clear division of characters. Sue, his counter attack is amazing! Clarke is just the absolute worst but he’s a fun dancer so he’s lighthearted. Z’xorv/Arete/Orson, I would just say are fine as is Finn, maybe there is just a clear worst character and a slew of also rans. I’ve decided to get back to Spider-Man PS4 as my next game. I’m going to complete my Ultimate New Game Plus and be completely done with that game. I’m so close, I got drugged by Scorpion and had Miles run away from Rhino, and my next mission is Heavy Hitter. Tuns out, I only have four missions left before the end of the game. Heavy Hitter / Step into My Parlor (the Mary Jane level) / Heart of the Matter / Pax in Bello / Epilogue, which doesn’t really count as it is the ending cutscene, as bitter sweet as it is. The Electro / Vulture fight was as hard as I remembered, as I just get lost in the night and I can’t track Vulture or his weapon he’s throwing around. So I’m really not looking forward to the Rhino and Scorpion tag team nor the final boss fight. Second to last boss fight, I don’t recall being as hard as the others. I’m not dreading Mary Jane’s level but I do want to just burn through it as quickly as possible. I figure after that, I’ll finish Batman : The Enemy Within as that’ll be a nice plat to have and I just have to enjoy and play the game, there isn’t any side quests or hidden trophies to worry about. After that, I’ll complete my first playthrough of Beyond : Two Souls and I’m not sure if I’ll actually beat Knack but I feel like that’s the only other game that I made a load of progress in and stopped. Oh, and SOMA, which I might just do what I did with RiME and just have a YouTube video at the ready to get me pass any obstacles. There might be a few Uncharted 3 trophies I can clean up just to try to get to Rank 15, my only real video game related goal for 2019. I’m currently at Rank 14 with 70% but it took me so long to go from 13 to 14. From there, I’ll have to look at my games again and see which one I really want to invest in. Mostly just the Kill 30 enemies with the Dragon Sniper, RPG-7, Mag 5, and PAK-80, which is four more trophies and most likely pretty easy to obtain. I really want to get the Lego Marvel Collection too, as Walker Dennis is way into Spider-Man and Legos and I keep wanting to play those myself too. Which reminds me, we still have the first Lego Movie to complete too but he has been way into playing with his actual Legos than wanting to play that game, I might have to secretly play it on my own. By the time we or I complete it, Lego Marvel Collection will have to be cheaper than full price $60. Even buying it for $55 would be a win. I’m very much influence by the Trophies subreddit, with what game I want to play. Uncharted 4 keeps showing up, so that might be the next game I tackle. I probably should mentally plan on playing at least another playthrough of Heavy Rain and Beyond : Two Souls so I can get it Detroit Become Human but I’ll probably just jump straight to Detroit and do one playthrough of that and maybe make a fun game of having one playthrough and then marathoning a second playthrough of all three games in rabid succession. Beating Beyond : Two Souls opens up Detroit and beating Uncharted 4 opens up Lost Legacy. Then I still have the two Life is Strange games to play. I keep being tempted to buy Ms. Pac-Man for four dollars and to get the Season Pass of Batman : Arkham Knight but I have plenty of games to play before buying new games or content. Hellblade : Senua’s Sacrifice also showed up once or twice and I want to get to that game too, so there easily could be my next three games. Turtle Soup played Walker and mine voicemail around the 50 minute mark, which felt pretty good. I hadn’t realized my pauses were so long, maybe it only feels that way to me but it is hard to record a voicemail with a five year old but it turned out pretty well. Thanks to YouTuber 420 Romantic for hosting the video! Brian McKnight’s Back at One is such a great song! 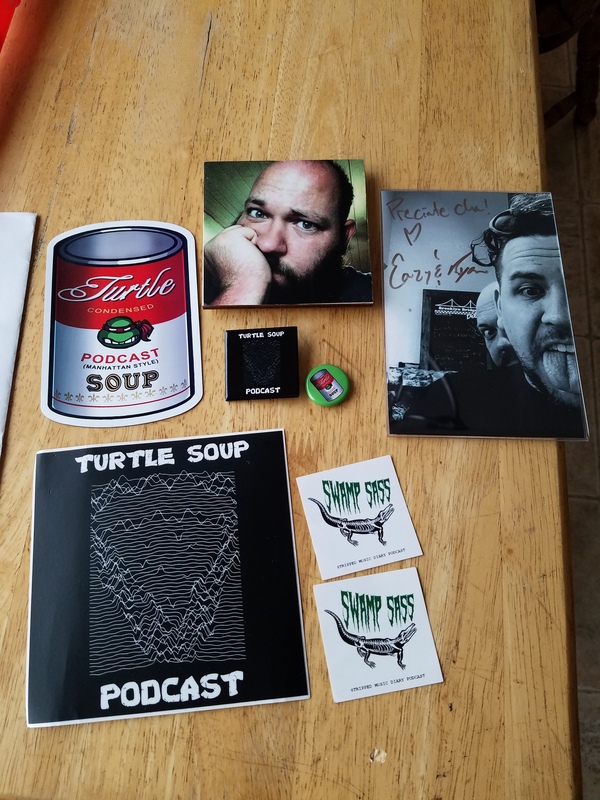 Ryan and Eric played my fourth e-mail to the show! It is read and the follow up discussion occurs between the 25:15 to 34:30 minute marks. In the middle of the discussion, I had the thought that this is what my e-mails should be. An item that actually sparks a lively discussion. 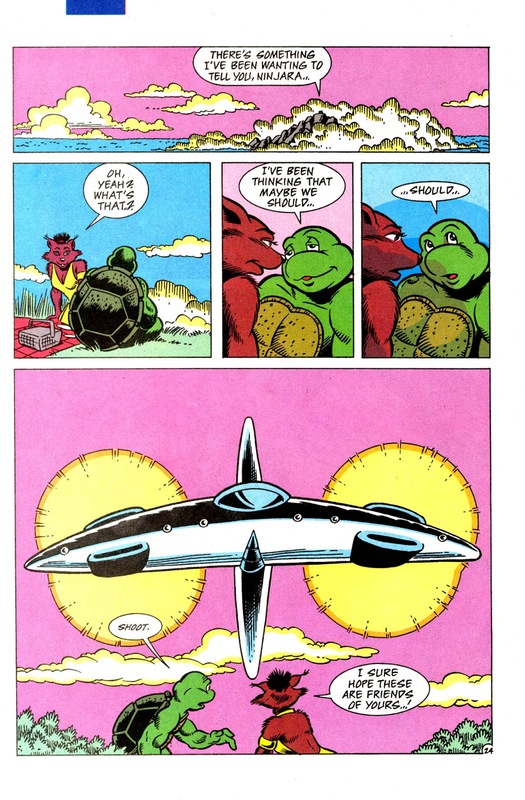 I felt pretty embarrassed that I had forgotten that in the Archie Adventures run, that we got plenty of Future Don and Raph together, something I had completely over looked. 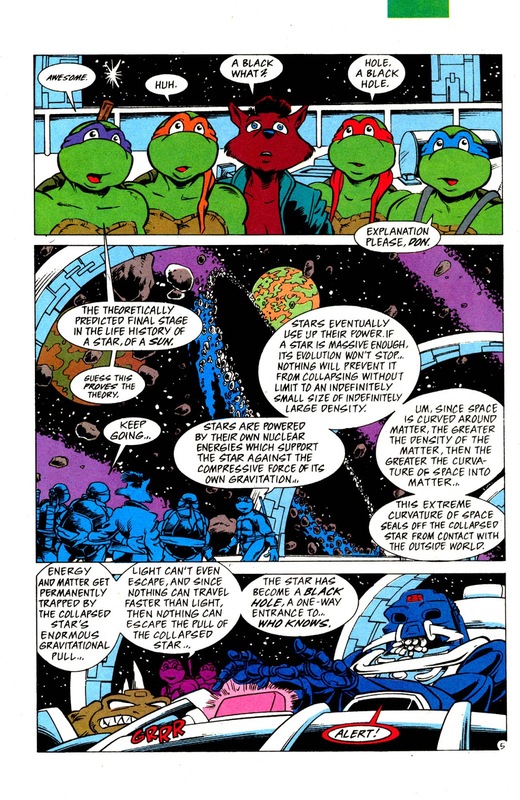 Just so I can write about it here, I asked what Raphael and Donatello talk about when they are on a mission together. As those two’s dynamic doesn’t really get much attention. 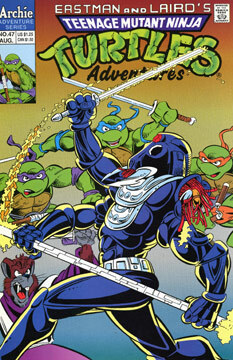 There are only six different ways to break out a duo with the Ninja Turtles. I’m not really sure what you call that third grouping of characters, but usually in video games, me and a buddy will pick Leonardo and Donatello for their sweet longer weapons. After they moved onto the third e-mail of the episode, I did have the thought about trios of the team but I already knew it was going to be a long e-mail. I did record a version of it, to be a voicemail, but it ended up being a full minute and some seconds, and that felt too long. Though they have had aired long ones before, and never once commented on how we should keep them to a certain length. I guess when you have two hour long episodes, extra minutes are not a bad thing. Especially if it truly adds to show content. We’re in the middle of season two of the Nick cartoon, and I want to say that say that Raph and Don have been paired up once, maybe twice. We’re at the episode where Karai was turned into a snake. I swear, we must have missed the first half of that season as none of those episodes looked familiar. Hulu finally updated season four, but I want to earn that season so we’re slowly working our way through season two. Walker Dennis is currently addicted to Secret Life of Pets – which isn’t all that bad of a film. Louis C.K. doesn’t even try to change his voice, so he sounds the exact same as Brendan’s dad from Home Movies. But, if you are going to hire Louis C.K., you hire him for that specific voice he has. We’re also very slow in working our way through Out of the Shadows, which doesn’t seem like a bad movie. It is silly but so far, unoffensive, my man. Ryan and Eric read my third e-mail on the show. They released episode 155 before I had a chance to even write this, that’s what I call some Instant Soup! The e-mail and the following discussion happen between the 13 and 19 minute marks of the episode. I notice they added links to their bands and I really like that inclusion as it would have helped me subscribing to their bands a month earlier on BandCamp. Instead, I had to simply ask them or remember their band names – which wasn’t all that hard. They often end an episode with one of the songs they have created and I have enjoyed the ones I have listen to and have started the albums over at BandCamp and let the songs all played. I really enjoyed their mocking of other podcasts doing commercials for products like Blue Apron. Especially as I’m wrapping up Undisclosed Season Two, with Joey Watkins case, and Blue Apron is their most delicious sponsor. So I’ve heard ads for Blue Apron so much in the past few months. To the point, where I’ve been tempted to try out their service but I know I couldn’t commit to the service so I haven’t been tempted to tease myself with their quality food service. Ryan also recommends to Eric to give Riverdale’s first season a try – a recommendation I fully support! Ryan was on episode four, on Netflix, when he made the recommendation. Which is pretty much the episode I was on when I started telling my wife that she should give the show a chance. It is teen melodrama but it is such good melodrama. There were times, later in the season, when I had to ask myself “Self, do you like this show for the show or would you still watch this show even if the names of the characters were different?” Which, honestly, I’m not sure I would have started the show, if it wasn’t for it being an adaption of Archie Comics, as I barely can finish the pilot to Crazy Ex-Girlfriend in under a week. It takes me twenty minutes at a time, to just watch an hour of television on my own. That’s what having a cute three year old son does to me. Or trying to squeeze in the shows my wife and I watch together. If I had a working Kindle Fire, I could maybe watching a show after my job at Shopko on weeknights. But I’m probably a month away from getting a replacement one of those. Probably two months away, most likely. The CW and CW Seed are both great apps to download, there is no signing up nor subscription service, which I really like. They don’t even add additional ad breaks, which is nice. If you do download the CW Seed app, I can’t recommend I Ship It enough, ten episodes, most are around ten minutes each (some shorter, some longer). I’m super excited that a second season is now in the works too. I wish the songs were on YouTube, as I have to go to SoundCloud and rehear the songs there. If my phone would allow me to have more apps on it, I would keep the CW Seed on there and go to the show proper, instead, I have to use SoundCloud to relive great songs like “Even Superman Had A Day Job” and “Going On An Adventure” but honestly, I just choose Even Superman Had A Day Job and listen to all the songs – they are all winners. The shows don’t load on my phone, but on the computer, you can click on the link and start enjoying it. I Ship It is created by the amazing Yulin Kuang. I Ship It started off as a webvideo before being picked up as an original webseries. The pilot and the series don’t have anything in common except for nerd rock, which I wouldn’t mind hearing more songs with references to the things I like. Which the Turtle Soup guys also include sweet references to things I enjoy in their songs, so it all comes together too. as it stars Irene Choi, who plays Asian Annie (or Annie Kim) from Community. There is just something about teenage angst and drama that I’m a sucker for. Maybe because I didn’t really have any or that much in comparison to my peers but I’m a sucker for watching it play out in front of me on television, film and now, online. Thanks to Yulin Kuang for hosting both of the above videos. oh, and the CW Seed also now has Ioan Gruffudd’s (who I will always think of him as my Reed Richards – not great films but he was amazing as Mister Fantastic) Forever on it. A show that I really enjoyed and wanted a second season but ABC denied us of that. Constantine is also on there, a show I wished was better, but him being in the fourth season episode “Haunted” of Arrow, was pretty awesome. I get why his show was cancelled, it being on NBC was an odd choice to begin with, but the character as portrayed by Matt Ryan, deserved to get a second chance. Ryan and Eric were nice enough to read my second e-mail and my and Walker Dennis’ second voicemail on the show. You can see the discussion and the voicemails from the 36 minute mark to the 40 minute mark. Took several months but I finally caught up with the show. Now that I’m caught up, I really need to do my part to keep the Foot from destroying the podcast. Probably can only do the ten dollar one, but that gives me access to the No Homework Zone podcast and the Slack channel and more content is what I’m seeking so that’ll be up my alley. Hopefully by June, I can start contributing. Sorry my voice is crazy high there, it was a bit off of the cuff. Still haven’t read a new comic in eight months, I remembered to start checking comixology for new free comics on Wednesdays (Marvel is good with throwing a few up there every week). I have downloaded those but haven’t read any. I completely forgot about Free Comic Book Day, I saw that some libraries offered comics and I should have checked to see if ours did that but forgot when May 6 came around. It has taken me a little before Halloween 2016 to finally catch up to the episode where Ryan and Eric read my first e-mail that I sent to the show! That takes place and the discussion thereafter from 2:51:11 to 2:59:00. 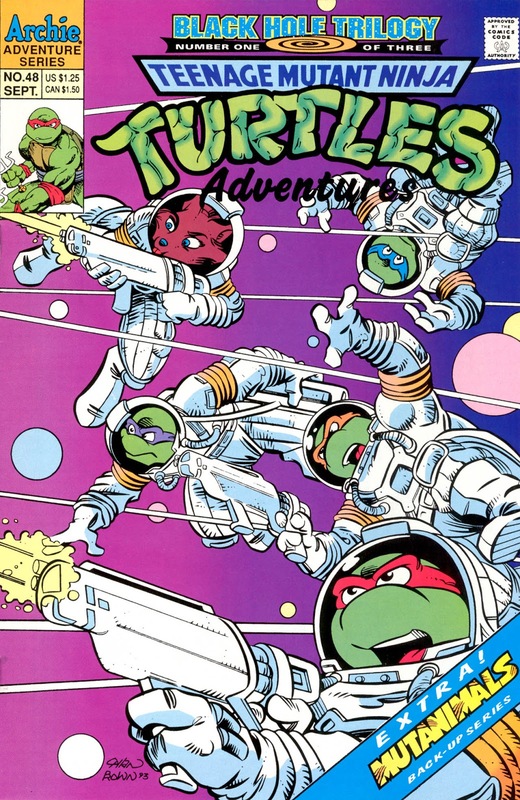 I haven’t bought a comic in like six months, and in those early days, I was really getting back into the Ninja Turtles and was directed to this amazing podcast. I’m so close to the current episode, 150, which I’m going to miss not just living in this world of Turtle Soup, after listening for so long.